Cupping creates a better blood flow which means more efficient cell repair and formation. Basically, cupping helps you heal faster and better. 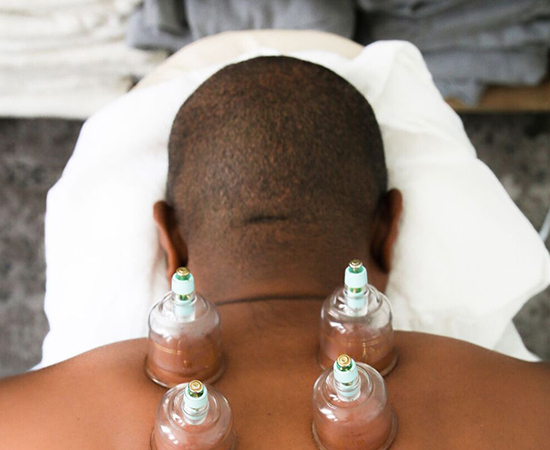 Using suction to create negative pressure on connective tissue and muscles, cupping increases circulation and loosens stiff muscles. Massage puts positive pressure on your body, yet massage paired with cupping increases circulation throughout. Cupping helps you heal faster and better. It is often used to relieve tight or overworked muscles. Athletes love how cupping stretches the fascia and muscles, enabling them to be back in top form faster. Those who suffer from arthritis also use it as a healing treatment. Gua Sha is a a traditional Chinese medical treatment that uses a scrapping technique to treat pain and releases heat in the body. Most importantly, the technique isn’t painful. It can alleviate pain instantly and kick-start recovery. Ready to try cupping or Gua Sha?